Spring is (basically) here! Who else is excited? I cannot not wait for some beautiful weather, and a little less rain here in VA. 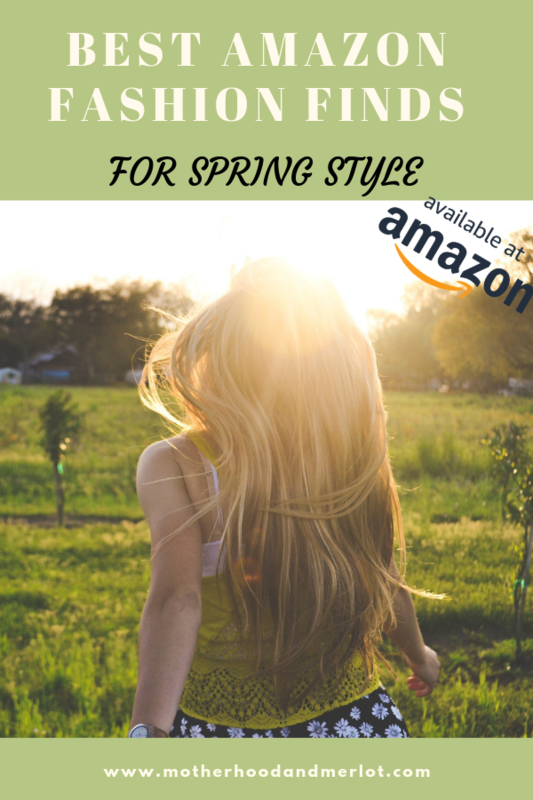 I am an avid Amazon shopper, and have been loving Amazon fashion lately. 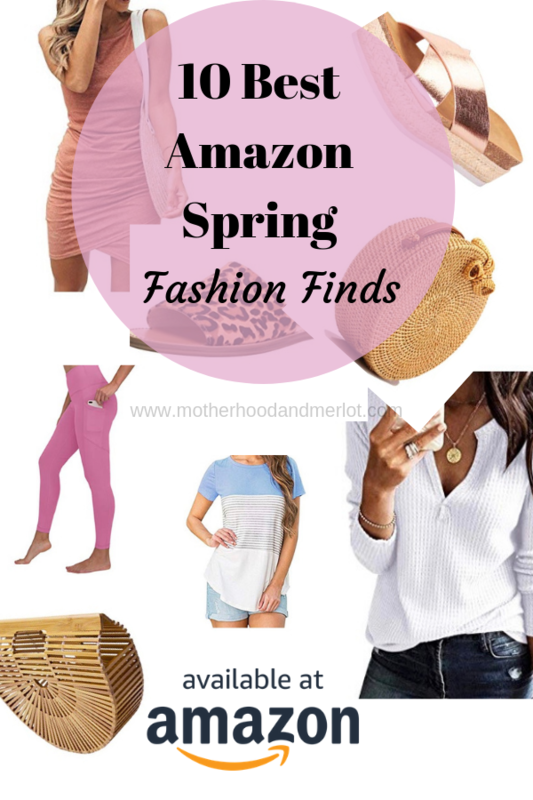 Today, I am sharing a round-up of the 10 Best Amazon Fashion Finds for Spring. 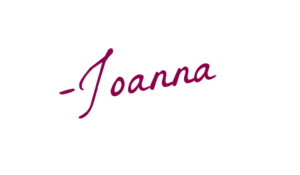 *The links included in this post are affiliate links. This means that I may make a small commission off of your purchases, and it is used towards growing this site and community. Thank you for your continued support. 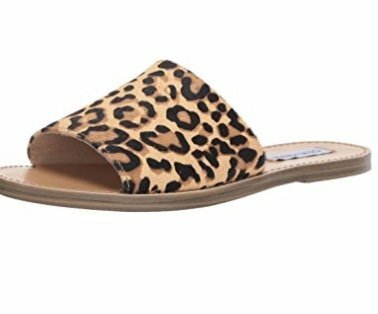 Steve Madden Women’s Grace Sandal: These flats are amazing. I love leopard print right now, and they are the most comfortable thing. Flats like these are great for spring and summer, because they are so easy to throw on and amp up your outfit. Cambridge Crossover Espadrille : These lean towards summer, but they would look adorable with some ankle length denim as well! 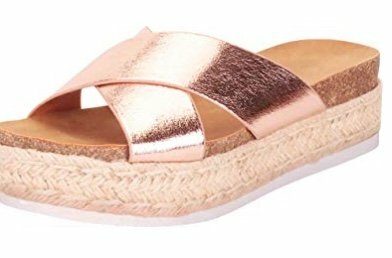 I love the espadrille detail and the metallic. So cute! 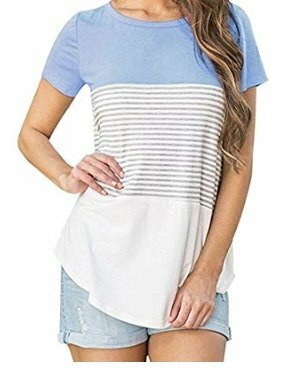 Triple Block Stripe Shirt: If you need a great basic shirt that you can layer under anything or wear alone, this is it! It comes in a ton of colors and color block patterns, and the material on it is great. Plus it’s under $15! 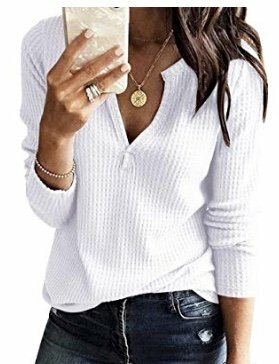 Waffle Knit Shirt: If it’s still chilly where you are, this waffle knit shirt is perfect. It isn’t too heavy, but has enough warmth to be a great transition piece. Again, it comes in a ton of colors and is super comfy. 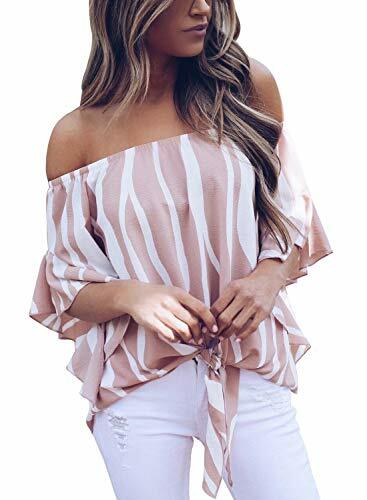 Striped Off Shoulder Bell Sleeve: I have this in the blue stripe and LOVE it. It is flowy, has great detail, and you have the option of 15+ colors and prints. Check the price… it’s ridiculously good! 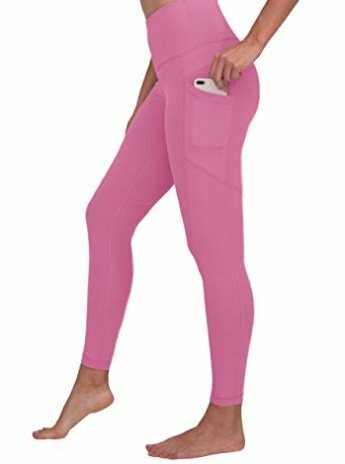 90 Degree Yoga Pants: These are a must for all seasons, but I love the colors they have on there for spring! Pinks, pale blues, lilac… so many good ones! All for under $25! I own three pairs, and need them in all of the colors. 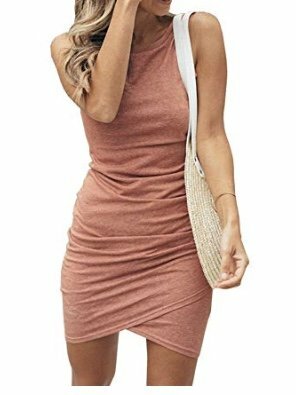 Ruched Stretchy Body Con: This would be the perfect dress under a chunky knit, a blazer, or leggings if you wanted. Then, you can wear it for the rest of the spring and summer seasons on its own! Love the color selections and the material is great for a the price. 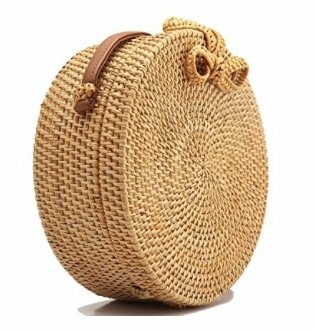 Handwoven Round Rattan Bag: This is the perfect spring and summer bag if you like the straw look and/or a round bag. I think round bags are so fun and they are a nice change from your standard purse shape. Plus, it’s under $40 which is crazy for a good bag. 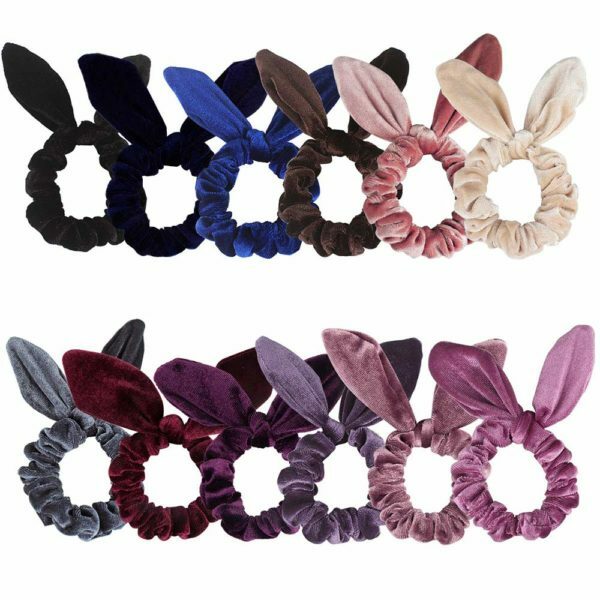 Velvet Bunny Scrunchies: I don’t care what you say, scrunchies are back and I’m in love! These are really good quality, and I love all of the colors. Plus, it comes out to a little more than $1 per scrunchy, with is amazing. What are your favorites on this list? 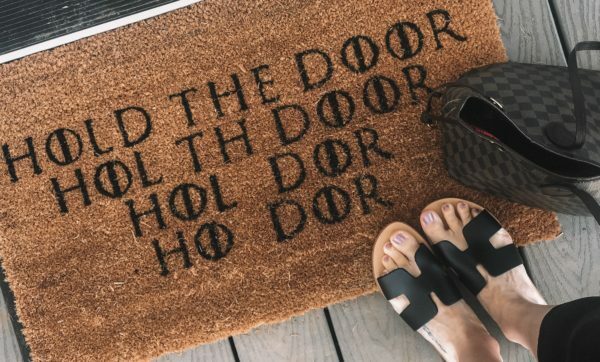 Let me know if you have any Amazon finds that are a must have! I didn’t know Amazon has such awesome clothing and accessories! I love that straw bag and off the shoulder shirt; perfect for spring! I was going to try out the new amazon clothing thing. Have a lot to offer. I adore those first slides. How adorable and easy they look! I would love to look fashionable like that but it being a breeze to accomplish! I’m really loving number 6 I could rock that. Summer is here and that meals upgrading our summer wardrobe. I love that round rattan bag, I am thinking of getting one for my next vacation. The Cambridge Crossover Espadrille looks very stylish for me. Your selection looks great.Each product hand-picked and seems great quality too. I never think to check Amazon for fashion but I totally should. I buy everything else on Amazon. These outfits are adorable. Is it just me or is spring fashion always the cutest! You have such cute taste! I would adore some of these outfits! Love everything you shared! So many great finds! Can’t wait to check them out! So many cute selections! I love your taste in fashion. I need to grace sandals. 90-degree yoga pants are the best. I need those sandals so bad.